Agora Books is excited to announce that Deathline by Jane Aiken Hodge is out now. 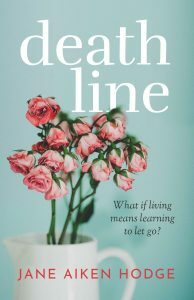 Originally published in 2003, Deathline follows the upheaval of Helen Westley’s life after the death of her mother and what awaits her away from London in the village of Leyning. Angry old woman with house seeks companion, with some money. To keep up with our new releases in 2018, sign up to our Agora Books Newsletter or follow us on Twitter @AgoraBooksLDN.